Ailsa’s travel theme this week is Horizons. Here’s mine taken from our hotel balcony in 2012. 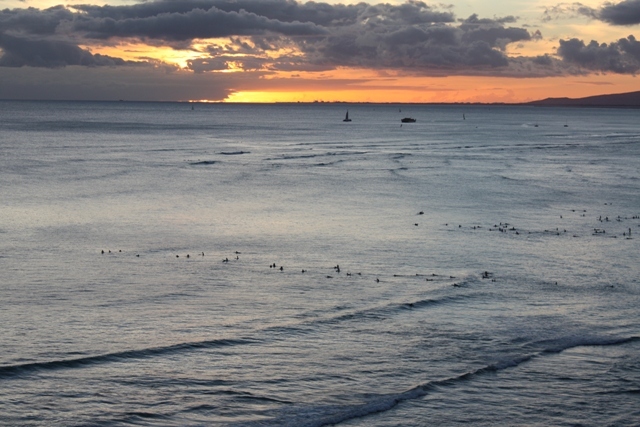 Late afternoon surfers catching the last of the day at Waikiki. Beautiful, clay coloured and serene. Thank you. I had a few to choose from. My husband picked this one.